Bubbalova, a bubble-making tower and a public clock, references the transient nature of our collective memory. The bubbles, perfect fragile spheres, can be seen as metaphors for the resilient and fragile nature of activism and artistic intervention and the poetic - altruistic endeavours that are affected by the “weather” conditions of the political, economic and social parameters that determine the dominant values of our society. 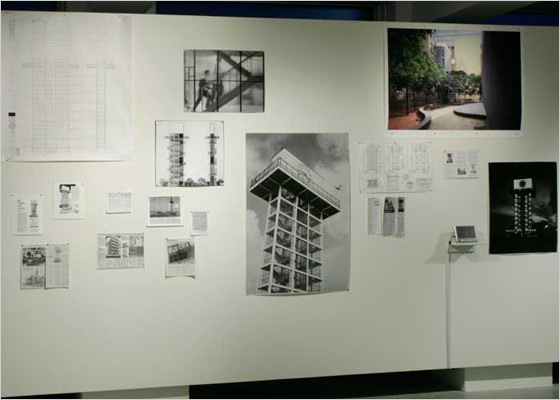 Bubbalova marks the ephemeral nature of utopianism in modernist architecture. Bubbalova is a scaled recreation of the historic Bulova Shell Clock Tower, a modernist gem and the centrepiece at the Canadian National Exhibition. The elegant and much-loved tower was torn down by the City of Toronto in 1986. This location is the former site of the Colonial Tavern, a renowned and historically important jazz club demolished in 1982. This section of Yonge Street was the centre of the art scene in Toronto during the ‘70s. Artists’ lofts and studio spaces made up the majority of residences along this stretch of Yonge.